NEWS CENTER Maine is celebrating our state's dedicated and hard-working dispatchers on Wednesday, April 17, as part of National Public Safety Telecommunicators Week. Every year during the second week of April, public safety dispatchers are honored for dedicating their lives to helping the public. 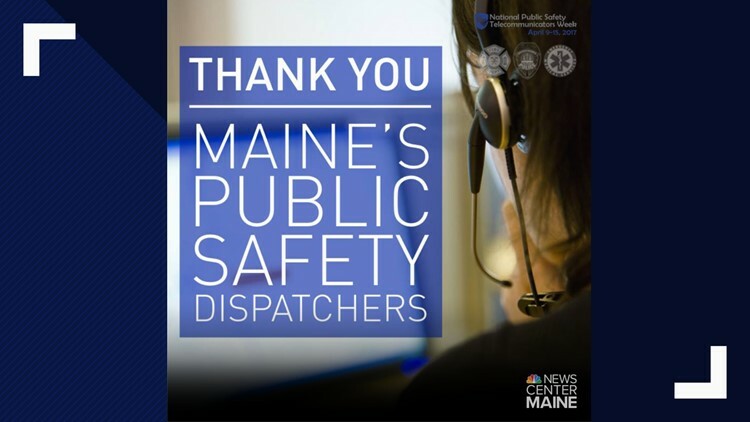 NEWS CENTER Maine is celebrating our state's dedicated and hard-working personnel on Wednesday, April 17, as part of National Public Safety Telecommunicators Week. Thank you to those who make sacrifices every day to create a better and safer world for the rest of us! As the citizens you serve, we appreciate it. Join in on the conversation -- let NEWS CENTER know your life has been positively impacted by these dispatchers in and around our community.